Keep Me In Quilts: Friday! Peanut Butter Raisin Toast and Iced Coffee … my mid-morning breakfast. I'm sitting here in my "office", which is really a guest room now (Hurray!!!! ), catching up on email, chatting via text with my MD Bee (love those ladies! ), looking out the window (sunny but a chilly 62 today) and writing a blog post (obviously). Today, as always, my To-Do list is way longer than the hours in my day. I LOVE a list, even when I know I won't accomplish it all. Just seeing it all there waiting for me - it doesn't produce anxiety, just the opposite - I know it will all get done (or not) someday. Today - HURRAY! 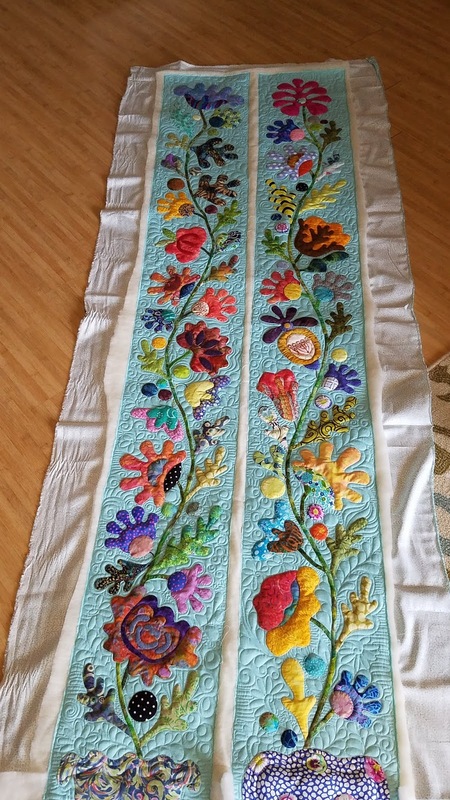 - these borders are finally going on a quilt. 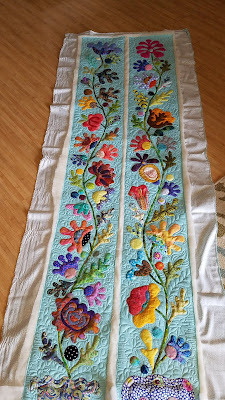 Flower Garden by Kim McLean deserves is own separate blog post … maybe tomorrow, maybe next week, but soon. 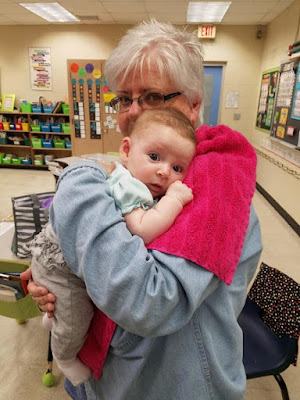 Donations of handmade items continues into 2019. So far, I have donated to "Warmies" - 3 pairs of socks, a cowl, a scarf and a sweater. Florida homeless get cold too. 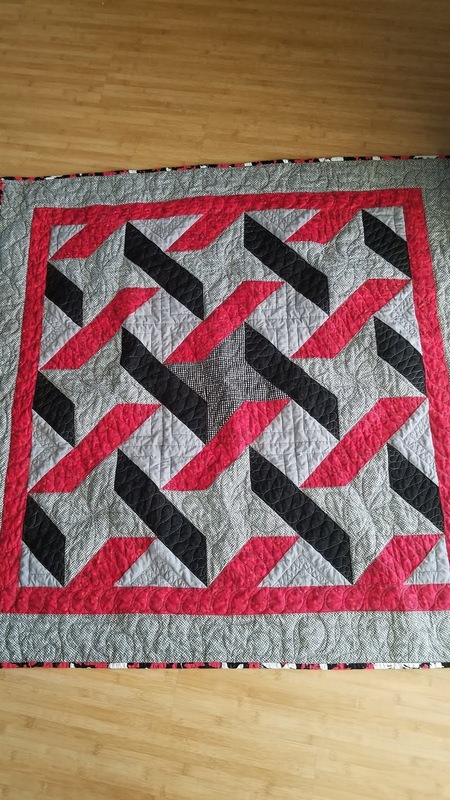 I also have released into the world a quilt. 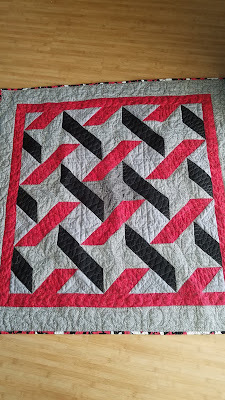 This one went to Seaside Piecemakers Community Quilts. 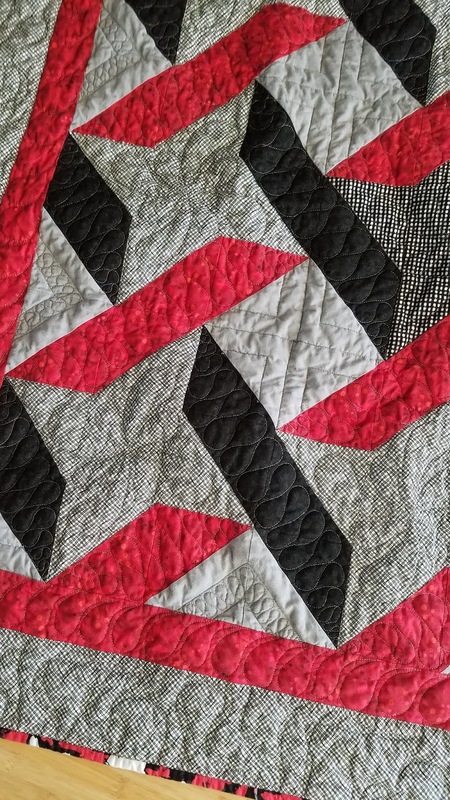 I made this quilt in 2015, as part of the Magical Mystery Series that I taught at Spring Water Designs. It brought me JOY and now it's time to bring someone else JOY. I was brave and did ruler work. I need to be brave again … someday. this afternoon, I will be babysitting Amelia. She definitely brings us JOY! I an very aware and do not take for granted what a blessed life I lead.